If you’re getting ready to put your house on the market, there are probably several upgrades you’re thinking about making. 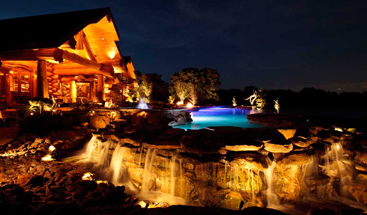 While a complete renovation may not be in the plans, there are projects you can complete that will boost the appeal and perhaps even the resale value of your home. One great place to start is with the light fixtures; if your home has outdated lights or fixtures that aren’t very efficient, replacing them can be the best option. 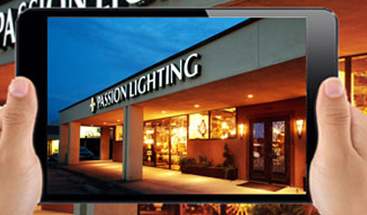 At Passion Lighting in Grapevine, we can help you choose new lights for your Texas home. Potential buyers will always be interested in the bedrooms, and having the right lighting can go a long way in capturing their interest. If there’s only one single semi-flush fixture on the ceiling that has an antiquated globe or cover on it, consider swapping it out for a modern fixture or a new ceiling fan with a light. Even though you’ll be taking them with you when you move, placing new table lamps by the bedside can let interested buyers know that you value proper lighting. The living room is where the new homeowners will spend most of their time, and if the space is too dark, it can quickly lose its appeal. You probably don’t have the time or budget for new wiring, but swapping out that old ceiling light for a modern chandelier or multiple pendants can make the space more interesting. You’ll also want to think about layering your lighting, and if adding track lighting or sconces can enhance the space, it might be worth the time and money to add them. No potential homebuyer wants to walk into a bathroom and feel that the space is dingy or underlit. New vanity lights and ceiling fixtures will provide the light the room needs, as well as the design aspects the space requires. Of course there are other upgrades that can be made in the bathroom, such as new tile or a shower surround, but if you don’t have the budget, new lighting can go a long way in improving the space. You might only have a few months before you put your home up for sale, and in that time, you want to do everything you can to get it ready to sell. 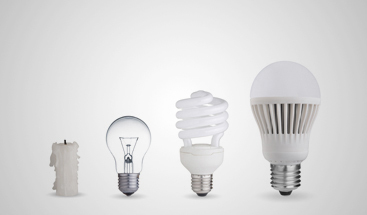 With the right lighting choices, you can make a minimal investment that yields a maximum return. At Passion, we can help you find new light fixtures and also provide installation services for ceiling fans, decorative fixtures, and more. You want your home to look and feel as good as possible, and our team can help make that happen. If you’re shopping for new lights, or you simply need inspiration for lighting and design choices, come to our showroom in Grapevine today. We’re proud to serve the entire Dallas/Fort Worth area, and can show you as many options as you would like.